LeoVegas Casino has a month packed with new slot releases in October 2015, as well as a great range of slightly older releases consisting of some great titles to bolster the already great range of slots present at the casino. The most notable release, however coming later this month is from NetEnt, the Pyramid – Quest for Immortality Slot has already sparked interest with online slot players, from the promotional videos posted last month. The Pyramid slot looks to be “fingers crossed” a no-nonsense slot from NetEnt with some huge win potential with a maximum pay of 3,600,000 coins! The slot features a unique layout with the reels shaped into a pyramid shape and features a 720 way wins layout, packed into this slot are some great features similar to the classic slot Gonzo’s Quest with Wild substitutions, Wild Generations, a Multiplier which can rise up to 10x and of course, the famous Avalanche feature. 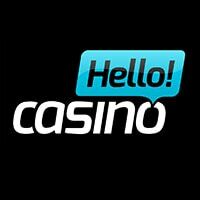 The slot is due to be officially released on the 22nd October 2015 but great news for players at Leo Vegas Casino is that they will be showcasing this slot 1 week early, so expect to see it live and playable on the Thursday 15th October instead. In the meantime check out the promotional video below to see why players are already excited about this particular slot. 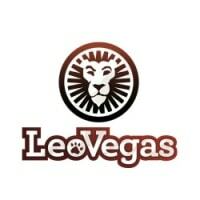 On top of this release the entire month is packed full of new titles being added to Leo vegas Casino, the full schedule can be found below, note the release dates are applicable to players from UK and may vary depending on player location. Games of the week such as Cash Stampede may already be live at the casino also.